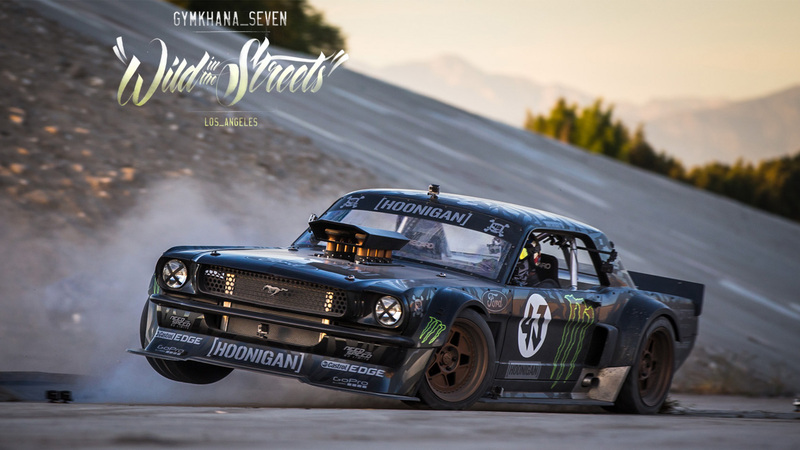 Featuring the Amazing and Thrilling Hoonicorn RTR! 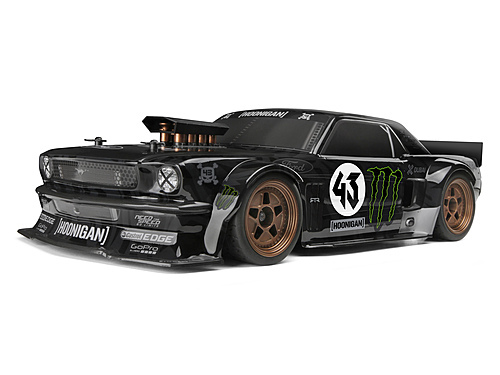 The full-size Hoonicorn RTR is the amazing car featured in Ken Block''s Gymkhana SEVEN video that sent the motorsport fans into a frenzy - and now YOU can have a 1/10th scale version to drive yourself! 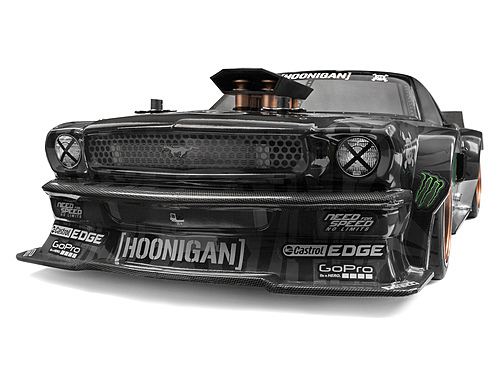 Replicating the chopped, slammed and massaged look of the real 1965 Ford Mustang the Hoonicorn RTR is based on, the official HPI Racing replica version features the same gigantic supercharger air scoop, same paint scheme and even the same wheels as the real thing! 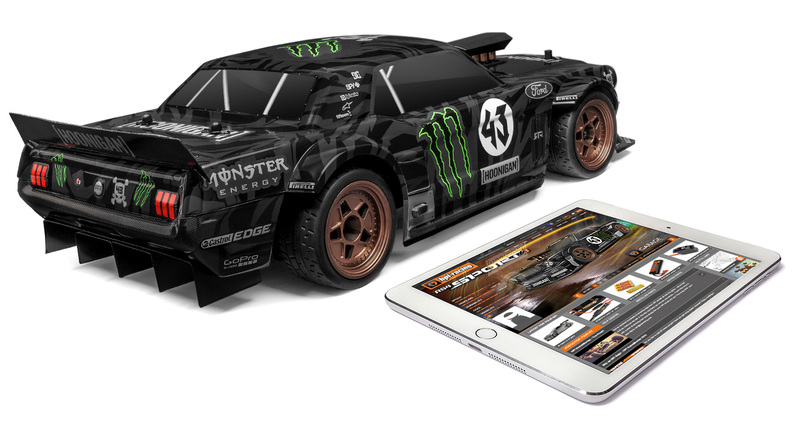 With a high-traction full-time shaft 4WD providing the go power, this electric-powered version will let you pull off the same wild action as Ken Block himself - in 1/10th the size! 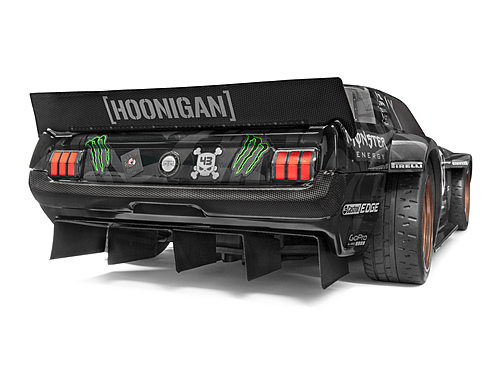 The full-size Hoonicorn RTR is a totally custom, all-out drift machine that was designed by Formula Drift champion Vaughn Gittin Jr.''s RTR design studio and built by ASD Motorsports over 2 years to exacting specifications. It''s fitted with a monstrous 410 cubic inch V8 putting out nearly 850 horsepower at a screaming 9000RPM. 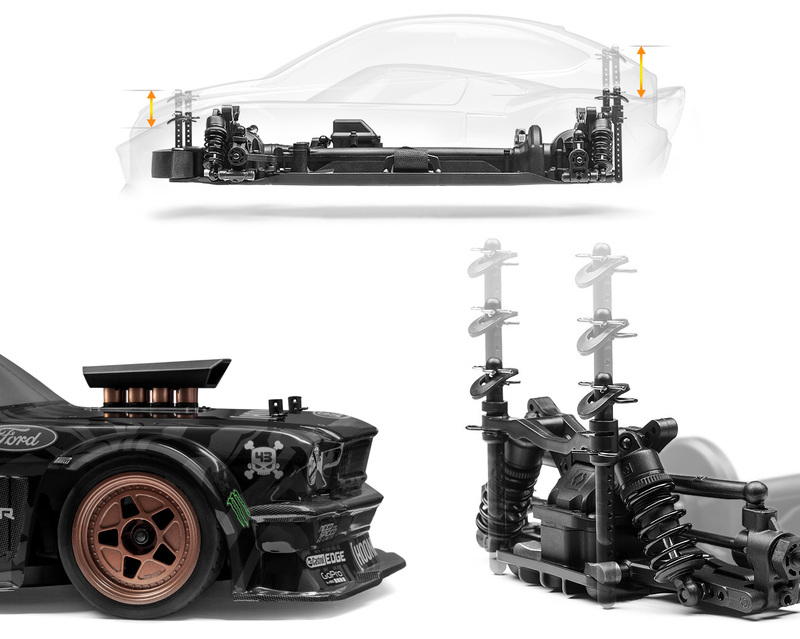 The engine is mated to a 6-speed Dakar Rally-spec transmission and 4WD drivetrain, with a completely custom adjustable suspension, and 3-piece fifteen52 wheels wrapped with super-wide 18-inch tires made in a custom compound just for Ken Block himself. You can read about the inspiration and design of the one-of-a-kind Hoonicorn RTR in this Speedhunters special article by Vaughn Gittin Jr! 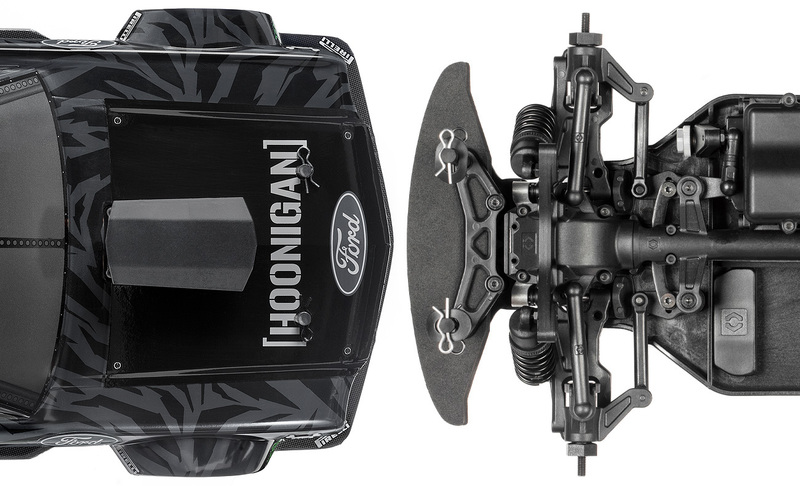 295/30/18 - magic numbers that give the technical side of Ken Block''s full-size hoops that are fitted to all four corners of the Hoonicorn RTR. But numbers can''t tell the whole story - especially when these tires are made in a custom compound especially for Ken Block himself! The replica tires look exactly like the real thing: extra-wide, semi-slick and super-cool! The scale tires are molded in a durable, long-wearing rubber compound that gives enough grip for awesome acceleration! Taking the full-size Hoonicorn RTR with its handmade custom body and making it 1/10th scale was a major challenge for the HPI design team, but after months of hard work with scale drawings and hundreds of pictures of the real car, we''re proud to call the 1/10th scale Hoonicorn RTR one of HPI''s finest achievements. 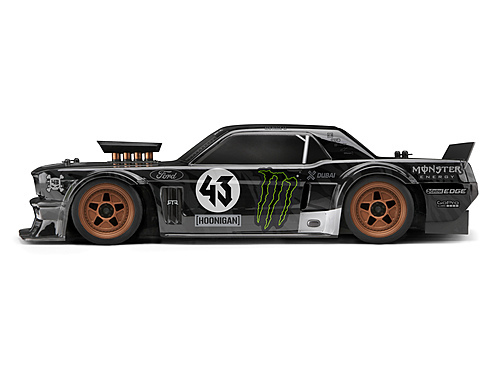 The replica wheels were even made with the help of the original fifteen52 CAD files to replicate their Ken Block special R43 wheels to complete the Hoonicorn''s look, and each wheel is wrapped in a scale replica extra-wide semi-slick rubber tires. The main chassis is formed from a single piece of reinforced plastic and features the drivetrain tunnel molded right down the middle, just like a real car. It''s a step beyond any plastic tub chassis car available today. The suspension of the RS4 Sport 3 Drift uses the race-proven double-wishbone suspension design, similar to a full-scale modern race car. You''ll be able to control the anti-squat and anti-dive of the front and rear arms using the standard pivot blocks, and the option parts allow you to adjust the sweep and toe angles. You''ll also be able to easily change the roll center front and rear with the racing-style vertical ballstud mounting on both the inner and outer camber link mounts. Multiple shock mounting positions provide a full range of shock suspension angle adjustment to suit different road conditions. The RS4 Sport 3 Drift is fitted with a set composite coilover-style oil-filled shocks, just like what you''d see on a real race car! The fully adjustable shocks are fully tunable to provide the optimum chassis performance on a wide variety of road surfaces. The ride height is quickly adjustable by using the threaded shock collars. Further tuning adjustments are also possible by changing the springs and shock oil weight.